Buying for men is my least favourite thing to do at Christmas time. I'm not a man, so don't know what men like and if I ask my other half what he wants for Christmas he'll say, "Nothing, I don't need anything." Cue internal scream. I've got a few little gift ideas that might help if you are struggling to buy for the man in your life too. My partner is quite proud of his facial hair and I've noticed that quite a lot of men these days choose to wear a beard or moustache. 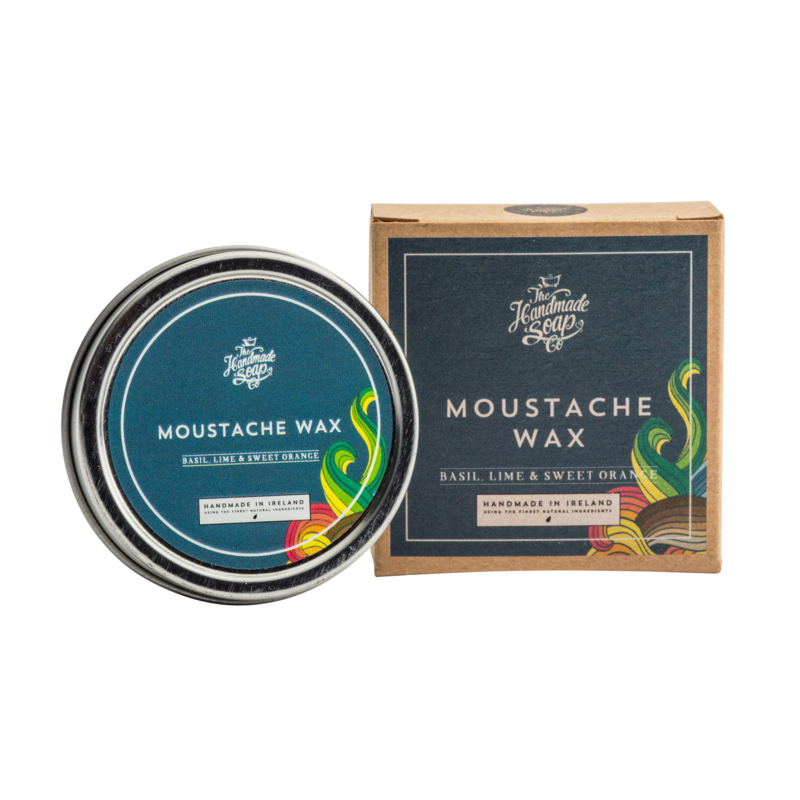 This moustache wax is a gorgeous mix of lime, basil and sweet orange and it's perfect for getting their moustache looking fab. You can purchase this from Handmade Soap Co for €9.95. Christmas isn't Christmas without some smellies! Stray away from the Lynx sets that no one really likes receiving and opt for a more exciting set like this Ocean Escape one from Fatface. You get a body wash and body spray for £8.00. Fatface also do some lovely checked shirts and accessories like Christmas themed socks so they are definitely worth checking out if you've overlooked them! My partner will come home from work and empty his pockets onto the arm of the sofa and it really winds me up. These little boxes are great for keeping their bits and bobs in and they are beautiful. Each box is lovingly handmade and finished with five coats of 100% Tung oil then clear beeswax polish. 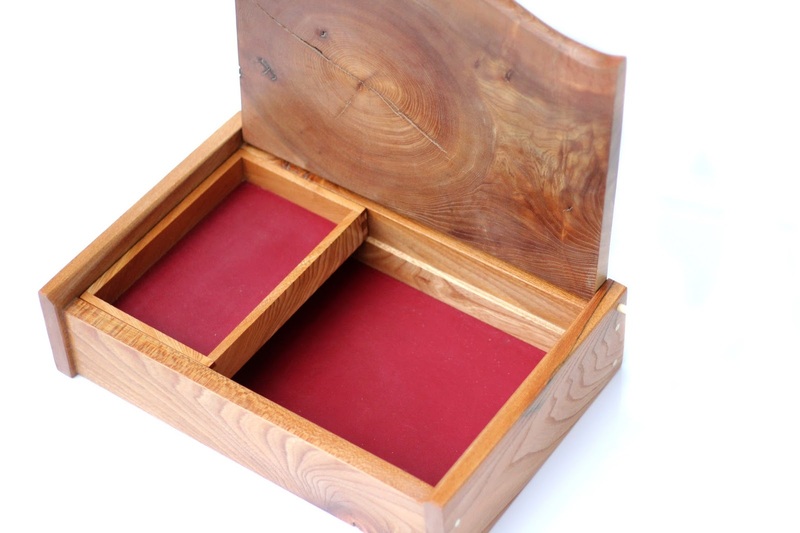 They are made from Wych elm wood with a gorgeous red leather interior. You can purchase these from artNM on etsy for £195. If your man isn't one for facial hair, this set is great! I love the packaging which has a little bit of humour and states that it's for real men. The set includes a shaving cream, post-shave Balm, doubloon bristle shaving brush and a cut-throat replaceable blade razor. 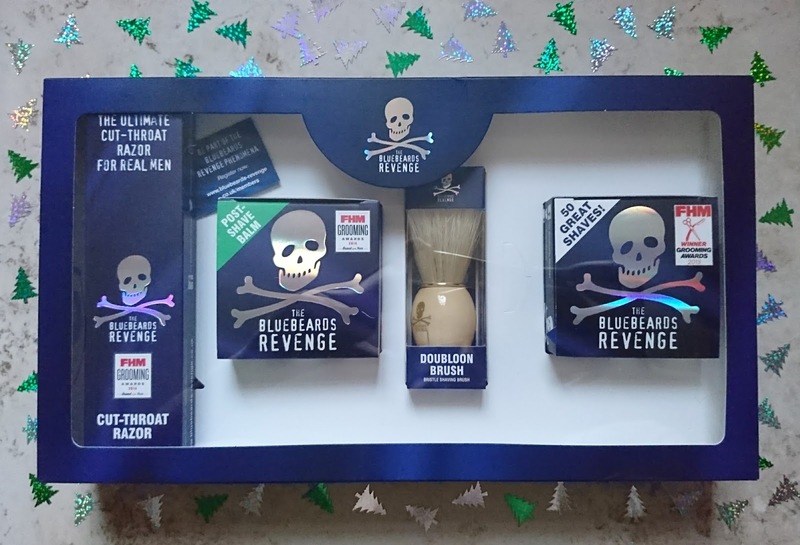 You can purchase this from Bluebeards Revenge for £34.99. It's been so cold this year already that we've already had snow so there's no perfect time than now to gift a hand warmer and boy, would it be appreciated! It has a gorgeous stainless steel finish and stays warm for up to 12 hours. It's reusable with Zippo lighter fluid too. You can purchase this from Zippo for £21.99. 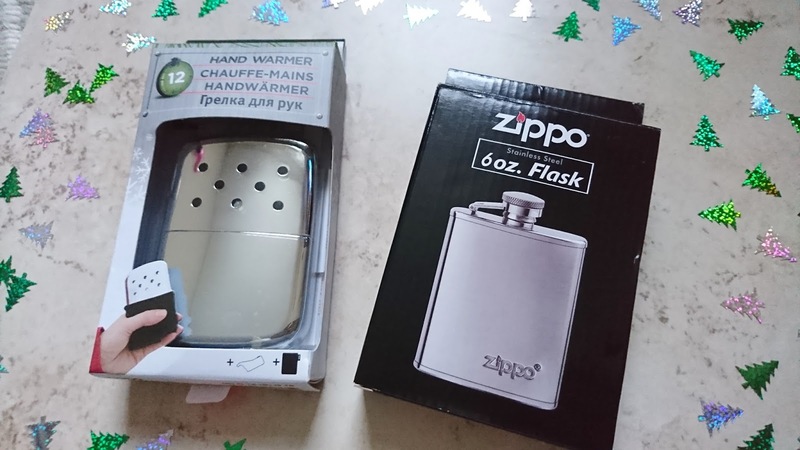 If they want to keep warm another way, a hip flask is another great gift for a classy man. It also has a stainless steel finish and holds 3 fl ozs. You can purchase this from Zippo for £13.78. Great for any coffee lover! It's an easy way to make good tasting coffee at home from ground whole beans. 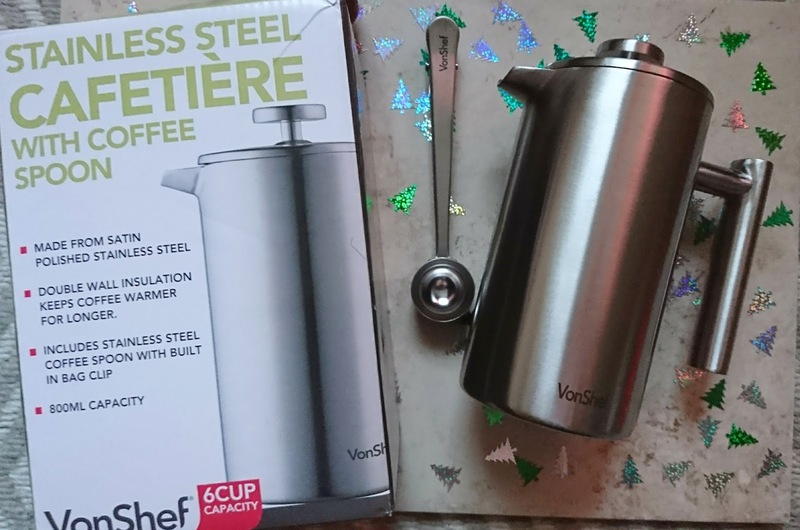 Again, it's stainless steel and comes with a plunger to filter the ground coffee from your drink. It holds up to six cups too! You can purchase this from VonShef for £18.99. Does your man like a bit of spice? 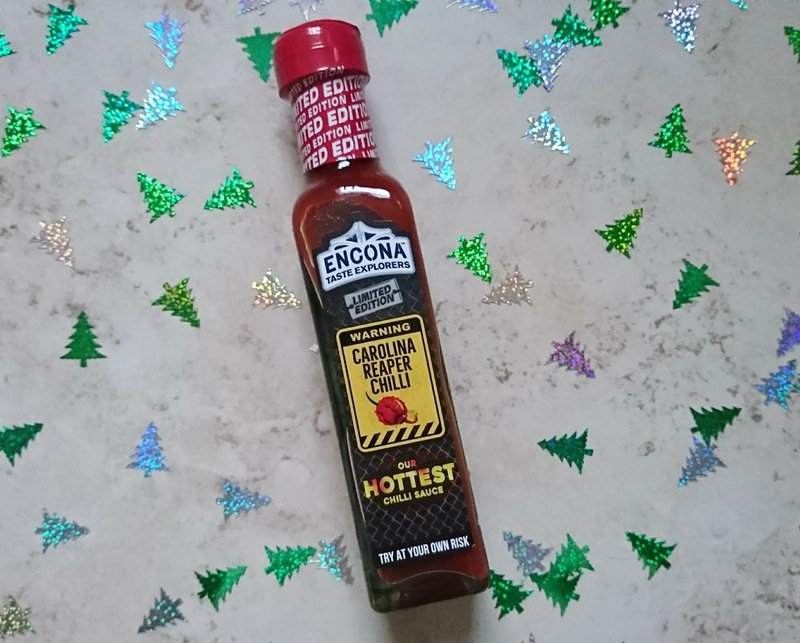 Why not test him with this chilli sauce? The Carolina reaper chilli is the hottest in the world and even matches weapons-grade pepper spray! It's more 25 times hotter than a piri piri chilli too. Maybe they'd be brave enough to give it a go with some leftover turkey this Christmas? You can purchase this from Tesco for £1.49. How cool are these?! 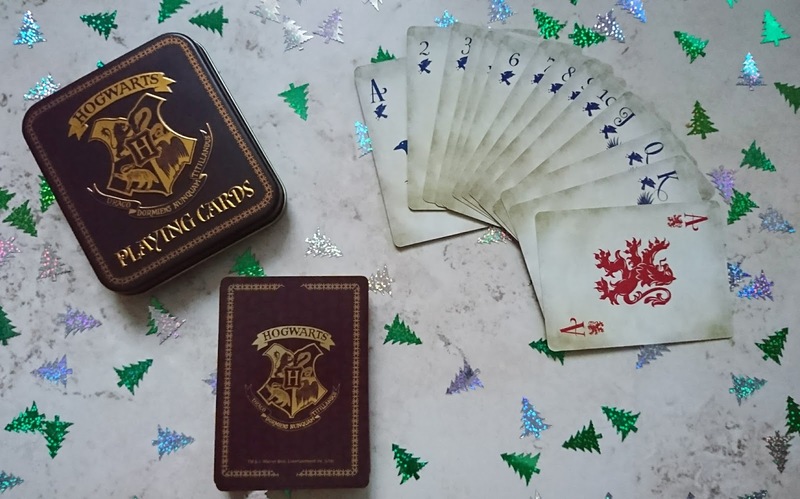 The cards come in an embossed gold tin featuring the Hogwarts crest and each suit is inspired by the houses; Ravenclaw, Hufflepuff, Slytherin and Griffyndor. The perfect gift for any Harry Potter fan! You can get these from Find Me A Gift for £7.99.